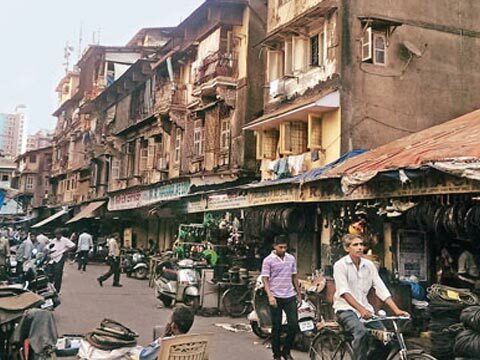 How neighbourhood markets in Mumbai are struggling? SaifeeBurhaniUpliftment Trust (SBUT) which has undertaken the Bhendi Bazaar redevelopment project has taken almost a decade to come this far. Mumbai’s dilapidated neighbourhoods are a mosaic of emotions. There is fear of death, hope for a better tomorrow, pent up anger stemming from decades of neglect and greed to bite into the towering realty values of a bustling metropolis. We come across these emotions time and again every time a rickety tenement bites the dust. But the core conundrum is often swept beneath the carpetsoon past prime time. There are four key stake holders in this game - the occupier, owner, government and eventually thedeveloper. The redevelopment process of aging buildings has become a vicious web courtesy several divides between these stakeholders. The occupiersoften choose to become a prisoner of these homes for more than one reason. Since the tenancy is passed on over two to three generations its occupants seldom find alternative accommodations for the measly rents that are obsolete today. Government schemes to relocatesuch people have also faced violent resistance and understandably so. For instance, recently it offered to relocate tenement dwellers at Bhendi Bazaar to Mahul. Now agreeing to such a scheme would mean to start a life from the scratch. Most occupants have their livelihoods and sheer existence strung around these vicinities. Even the fear of death has failed to change their minds. There is also some greed to cash in on the augmented value of the real estate in these neighbourhoods. Over time the city has expanded at different directions and the land housing the old neglected pockets has turned into a goldmine. The owner or the landlords are equally ignorant considering the measly rent that they take home.Ideally the archaic Rent Control Act that was coined to protect the interest of tenants should have provisions for regular repairs of these buildings. However, in the absence of such a provision the buildings continue to languish. From the government’s point of view the primary concern is the safety of occupants. But it has been incapable of providing alternative accommodation to such occupants within the same eco-system. It did float several schemes to rope in private developers such as the cluster development projects. The scheme however, should be attuned to market conditions. For instance, if the market is good one may want to reduce the floor space index (FSI) and vice versa when the market is bad. The task is equally daunting for a private developer. For instance, the SaifeeBurhaniUpliftment Trust (SBUT) which has undertaken the Bhendi Bazaar redevelopment project has taken almost a decade to come this far. While they have been able to get the consent of nearly 74% of the tenants and 85% of the landlords the journey is still far from being over. Unlike Greenfield projects, exercises such as these where you have to deal with Project Affected People (PAPs) pose different challenges. In addition to stringent government requirements one has to deal with two more stakeholders, landlords and tenants. Cluster development has been in existence for almost half a decade but it has not showed any results yet. The SBUT had to take about 4000 consents and being a no profit no loss body they could manage to come this far. But it would not be easy for other developers. Many of the old and dilapidated structures in the city might continue to languishdue to lack of feasibility for redevelopment. Even when a developer offers a package, the redevelopment process may still suffer if a handful of occupants drag their heels for a better deal. But with the clock ticking on them, they have to realise that it is a matter of life and death and a few more square feet may not really be worth it. The root cause of the rot lies in the archaic Rent Control Act which needs immediate review for the safety of the lives of the occupants of these tenements.